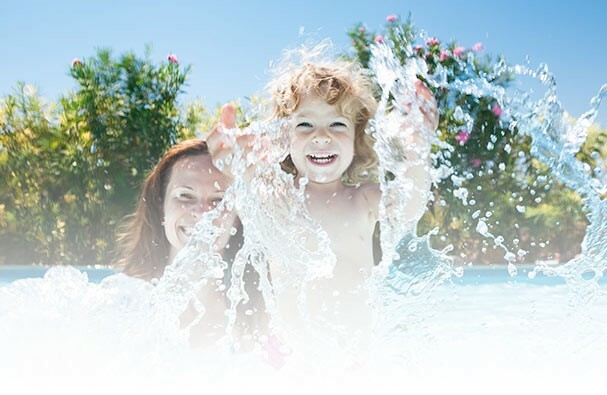 AMAZE is a biodegradable cleaner and conditioner that instantly dissolves all kinds of grease, dirt and marks on your pool’s liner. A clean liner lasts longer. AMAZE’S cleaning power and rapid action make it easy to use and very effective. AMAZE may also be used on garden furniture, vinyl-coated metal parts and chrome. 1. Spray the product on a cloth, sponge or soft brush. 2. Gently rub the surface until stains disappear. Add a small amount of AMAZE if needed. It is the responsibility of the user to make sure that colours and patterns hold on to cleaned surface. COVER CLEANER cleans all kinds of dirt, deodorizes and protects pool covers during storage. Helps prevent mildew and makes the cover easier to fold. 1. Flush loose leaves and debris from cover with a garden hose. 2. Apply COVER CLEANER liberally in its concentrated form and scrub the cover with a brush. 3. Rinse the cover thoroughly with water. FILTER CLEANER is a cleaner scientifically formulated to insure a better filtration and to prolong filter life. Removes accumulated dirt in cartridge or sand filters. FILTER CLEANER is effective in removing scale, rust, oils and cosmetic residues. 1. Stop filter and remove cartridge. 2. In a plastic pail prepare a solution of 1 L of FILTER CLEANER per 20 L of warm water. The solution will be a peach colour. 3. Place cartridge upright in the solution, making sure that there is enough solution to cover cartridge. 4. Allow to soak for about 5 to 6 hours. 5. Remove cartridge and rinse immediately with fresh water. 6. Replace cartridge and start filtration system. Improves filtration and increases the effectiveness of the filter’s sand. 1. Make sure the pool water is at maximum level above the skimmer. 2. Stop the filter and make sure the skimmer basket is clean and empty. 3. Make sure the filter is on the “Filter” position. Pour the contents of the bottle into the skimmer. Start the filter and let it run for 5 seconds then stop. Let stand for 8 hours. 4. After 8 hours change the position of the filter to “Backwash”, start the filter and let it run for 2 to 5 minutes. Stop the filter, put the filtration system back to the “Filter” position and restart.